Training has resumed at our City Dojo following repairs for the flood damage. We practise 6pm-8pm on Tuesday and 6:30-7:30pm on Wednesday. 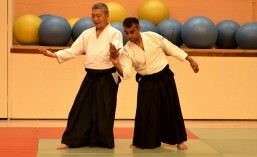 If you would like to give Aikido a go why not come down and give it a try.